Target = Phoenix Hill and Crocodile hill. 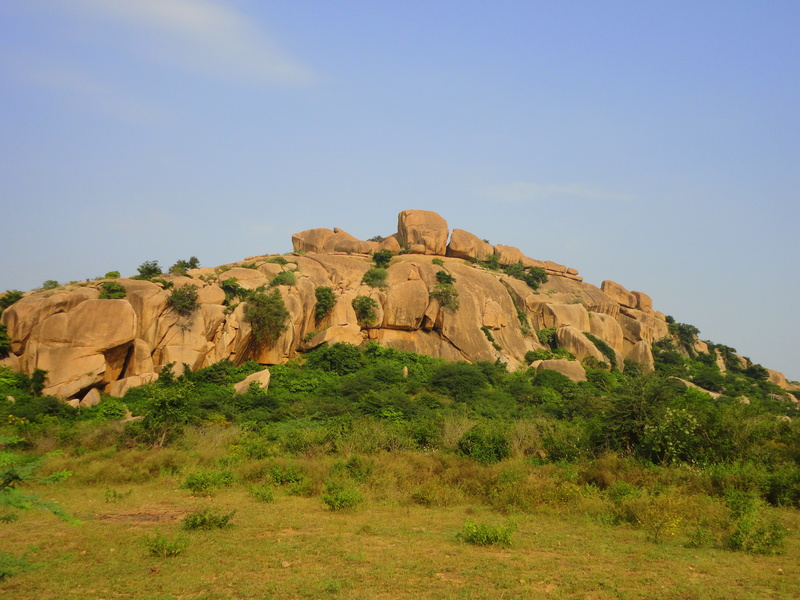 Place = Kondamadugu hills some 40 kms outside Hyderabad. Aim = Is to conquer both those hills ( he he…more of getting our lazy bones to the top of the hills). 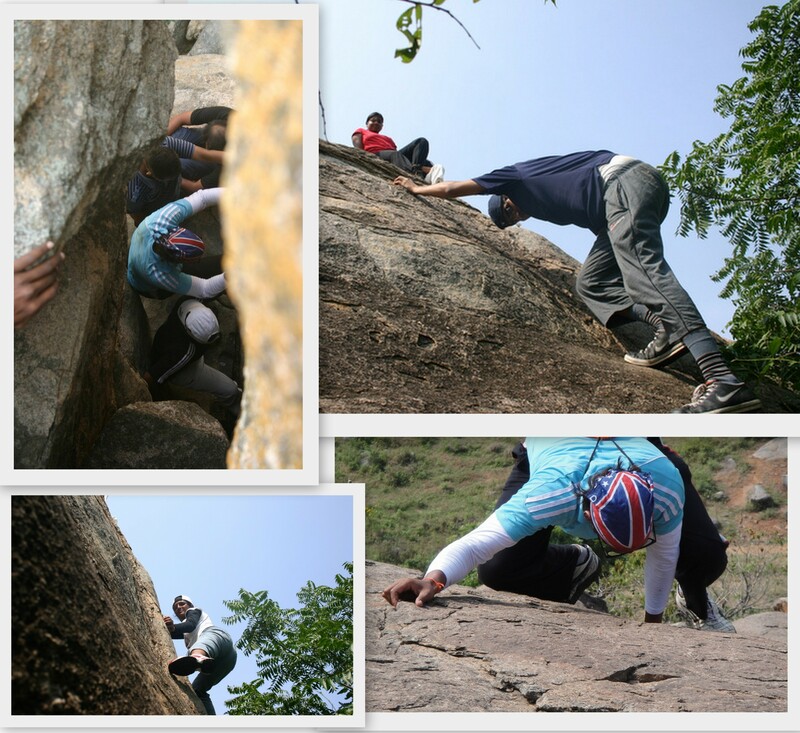 This was a day trip into some hills and to try out some rock climbing, bouldering, chimneying and some hikking. We started early in the morning from Hyderabad in a small bus playing Antakshari which is a good ice breaker game when 20 total strangers pool up to spend a day together 🙂 . 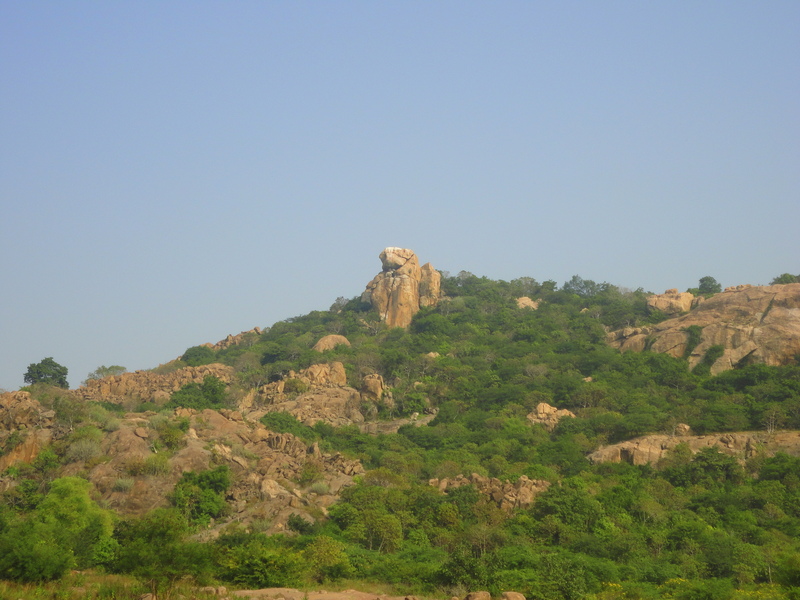 Reached Kondamadugu village in a couple of hours. It was a hot and dry day. Phoenix hill was a hill with a bit of altitude and Tortoise hill was a hill with more width and out aim was to reach the top of both. The names of the hills come from the shapes they were in. 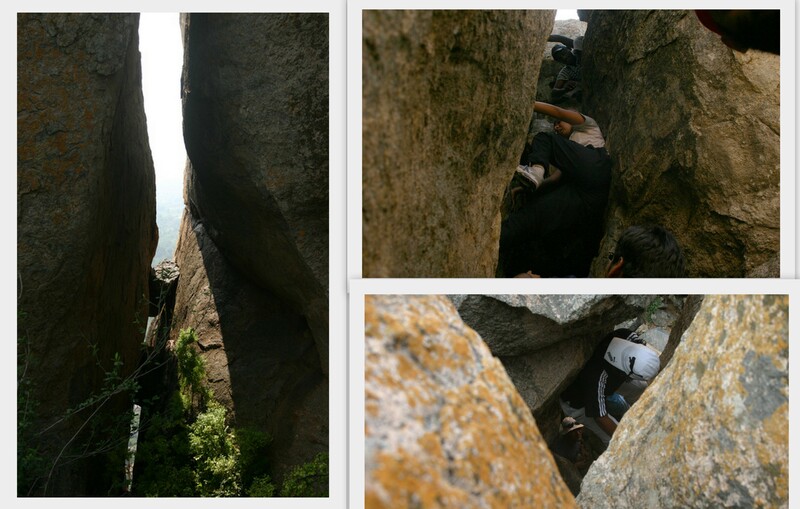 Once we got down then came the toughest part, climbing the top peak of the phoenix head. It was two opposing rocks and the aim to get to the top doing some chimenying. It was my first time doing so much of rocks. 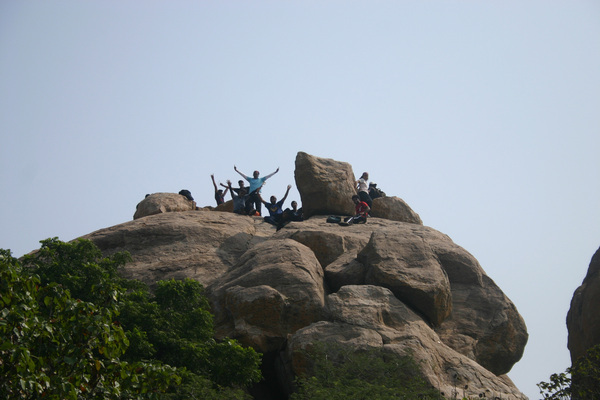 After struggling, dangling, streaching out for reaching the grips, some of the brave hearts reached the top. 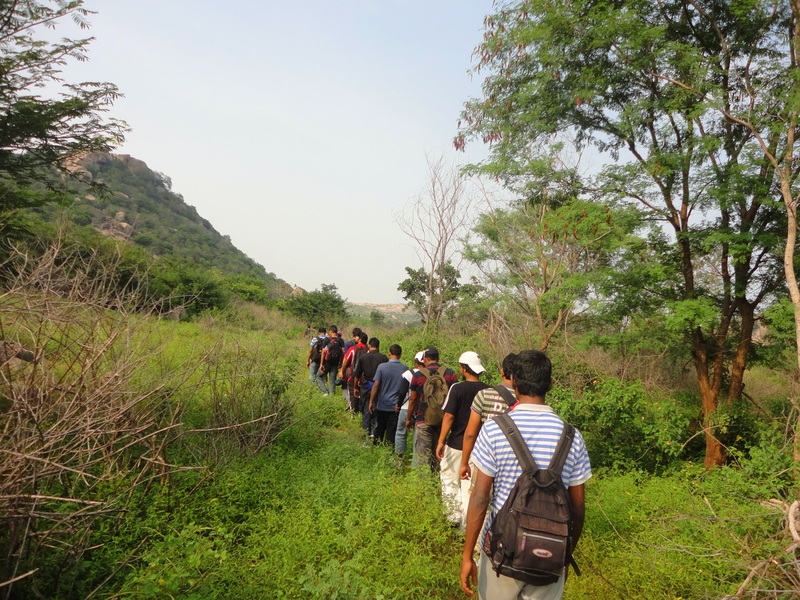 It was a exciting experience, one of its kind. Sat of the Phoenix’s head, enjoyed the view and got down. 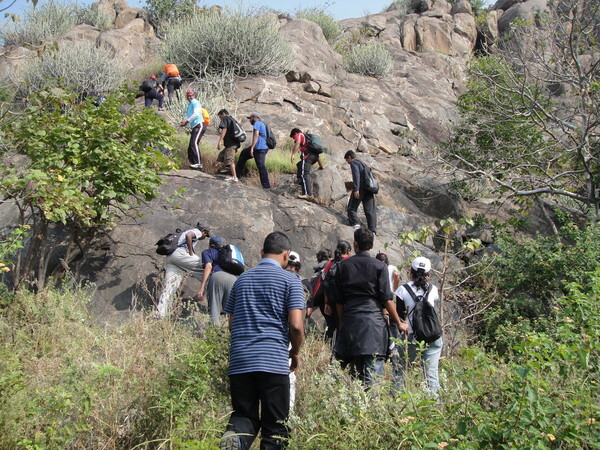 Though this might be the smallest of small heights we have climbed, one thing I got is when people attempt to climb these big mountains, its not the adventure to reach the top which is exciting, its the climb which gives us the kicks and the fun. We breaked for lunch and then started to conquer the crocodile hill. Though its not big in altitude, to reach the top we had to go through some painfully thorny buses and trees. A thorn which still sits deep in my thumb is a memory I have got out of this trip !!! As it was a hot day, we were running out of water fast and getting to our exhaustion level soon. We reached the top by evening to enjoy the setting sun. 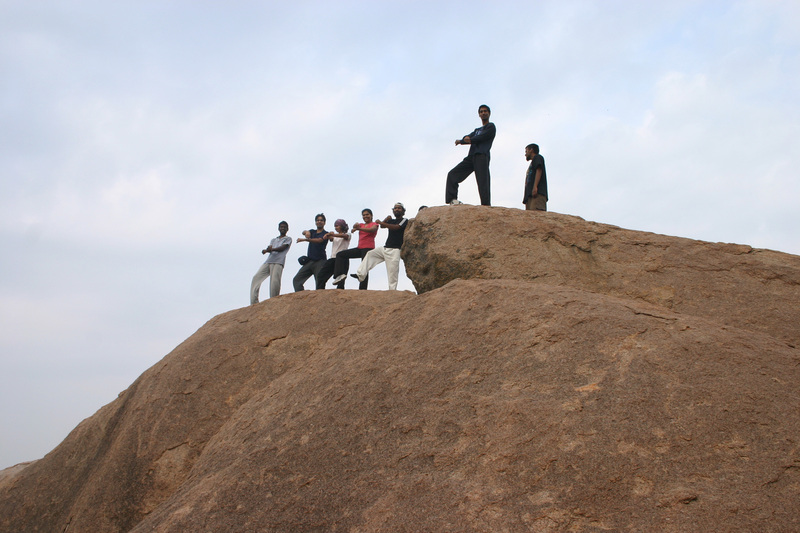 A celebration dance of gangnam style by some, was fun to watch on the top of the hills. The view was peaceful. After an exhaustive hike, we just lay down on the rocks to watch the sun go down. 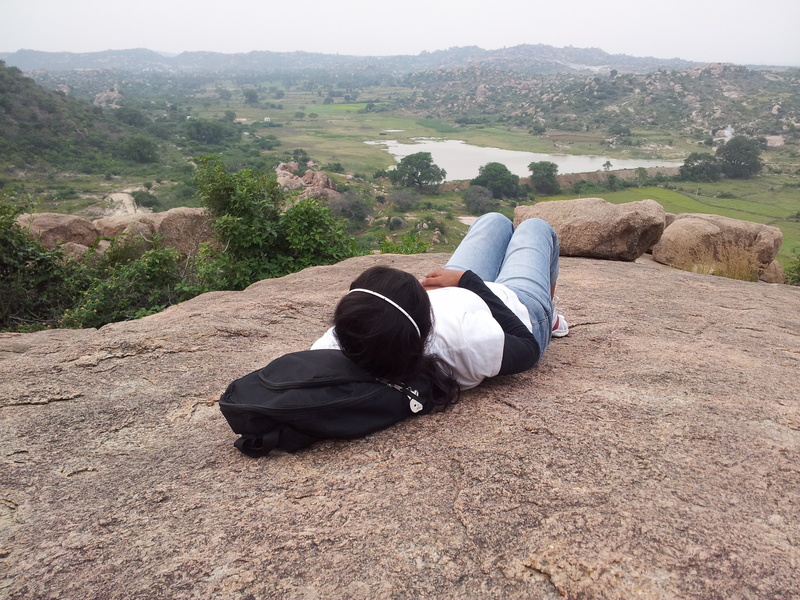 Overall it was a nice hike with rock climbing, trekking, some nice views. am planning to opt for this meetup next week. I have ligament tire in my knee. Do you recommend I should try this trek? It’s not a hard hike and not very steep. If you are comfortable walking long distances you should go for it. There is some climbing, but if you feel it’s hard on your knee, there are side easier routes on the path as well which you can opt for. When I trekked a Volcano..
Women living alone in India – Is it weird? Blackboard punishments no longer valid!! * Blackboard punishments no longer valid! !